There are five legislative assembly constituency in Ambedkarnagar district for the 2017 Assembly elections. They are 281 Akbarpur, 279 Alapur, 280 Jalalpur, 277 Katehari, 278 Tanda. When Uttar Pradesh assembly election 2017 is getting ready to electios new Assembly, Ambedkarnagar is not anywhere behind in the election heat. 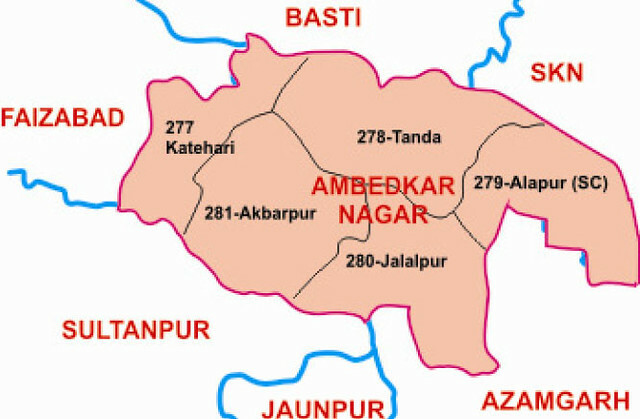 Ambedkar Nagar district is a district in the Faizabad division. This district was created on September 29, 1995 and was named in the memory of Dr. Bhimrao Ambedkar, who worked for the upliftment of the deprived classes, women and other weaker sections of the Society.